Comment: Replacement of a single run of existing gutter to place downspout (2 story drop) on the north side of the house rather than having a downspout on south side of house crossing a side walk (trip hazard) and directing water toward garage service door (which has rotted out bottom of door and causes ice hazard in winter). Replacement gutter and downspout run should be primed so it can be painted. Comment: Water is overflowing due to blockage. May want to have gutter guards installed. Milwaukee Gutter Cleaning & Repair Services are rated 4.78 out of 5 based on 343 reviews of 21 pros. 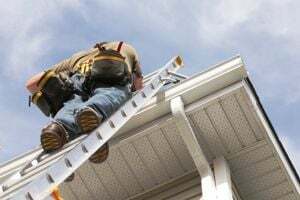 Not Looking for Gutters Contractors in Milwaukee, WI?